Around here, summer starts when school ends and ends when school starts. That makes summertime officially from end of May to mid-August. There was a time when summer vacation elicited in me visions of long, lazy days filled with playtime activities, swimming and biking. Now it pretty much means catching up on neglected writing projects due on an editor’s desk by August. I do however get my fill of not-so-lazy summer activities from my eight-year-old granddaughter. She plays, swims and bikes. I fix the scrapes and bruises, play lifeguard and enforce bicycle rules. In my five or ten free minutes a day I write. A topic that comes up every summer has to do with shadow people. A quick survey of geeky sites on the internet shows a prevailing belief that shadow people are creepy and come out only at night. However, real shadow people come out during the day. They are not scary, they are our friends and constant companions all summer long. You will never be lonely on a sunny day, when the shadow people come to play. 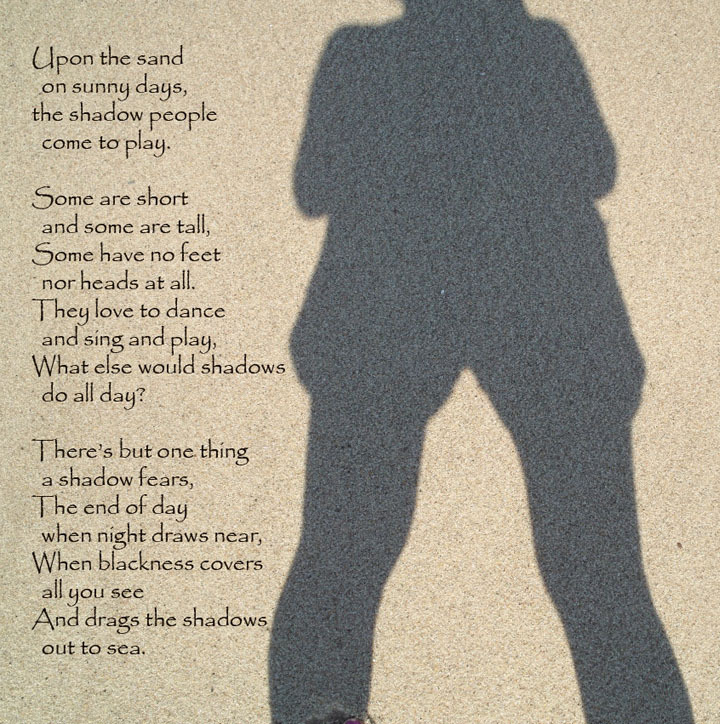 In the interest of shining light on some dark things, and hopefully encouraging a brighter, happier outlook among some of our young people, here is a short poem on what the real shadow people are like. I didn’t make this up, I just put the words down. A little eight-year-old shadow told me what to write. I hope everyone has a wonderfully bright and happy summer this year. I will be back here soon, but first we hope to spend some time outside with our shadowy friends.